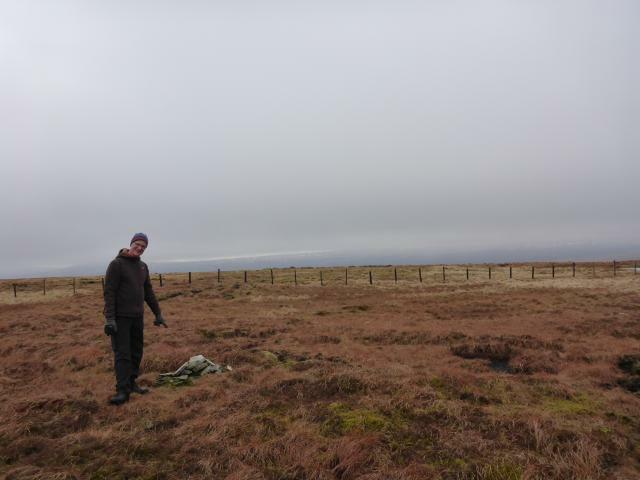 Visited with Brunshaw great summit we didn't hang around long,freezing South Easterly wind so off to find some shelter for lunch.Only place we could find was on the North side of a peat hag,so we arranged a makeshift seated dinning area. 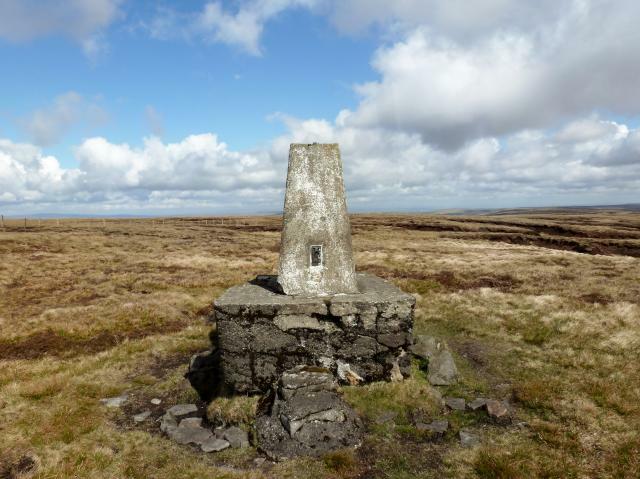 10 mile walk Ashgill bridge along valley then following ski tows up and across to summit and trig, great views today in perfect weather, across completely dry bogs and hags to Dead Stones and Flinty Fell then back to car. Small pull-in for parking immediately S of disused quarry to W on B6277. 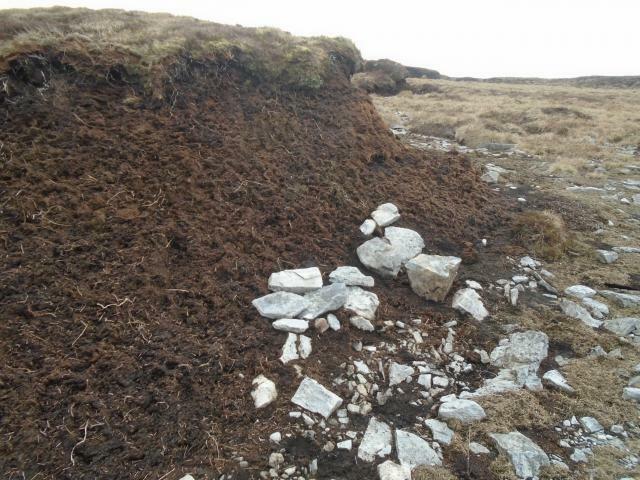 Rough but mainly dry up to the hill top, then a peat bog mess on to the trig. Pillar sits on a large, and damaged, plinth. Top screed also badly damaged with all spider arm ends exposed; and one top corner and an area at the base damaged. No top cap or plug; rear sight hole open. Cloud down, no views. Walked up from the Ski Tow which was being maintained for the forthcoming season. Heavy frost so easy walking over the frozen bog. Solo. Parked in a lay-by and followed the line of a ski tow then broken wall. Durham county top. Easy walking today moor very dry you could have got away with shoes! 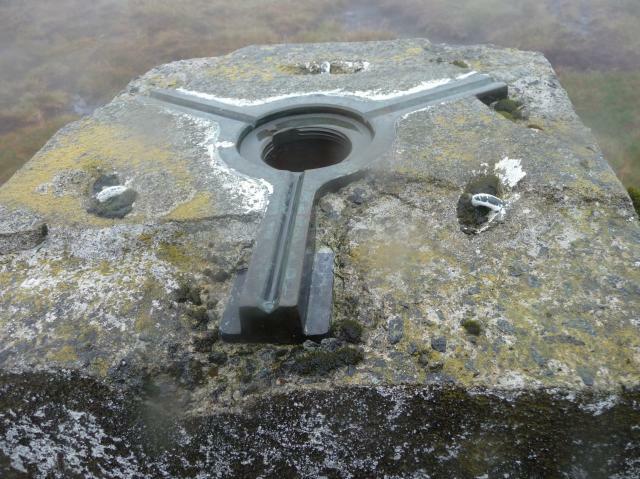 Trig on big plinth and has some damage plug missing think surveyors placed trig here for a better line of sight. 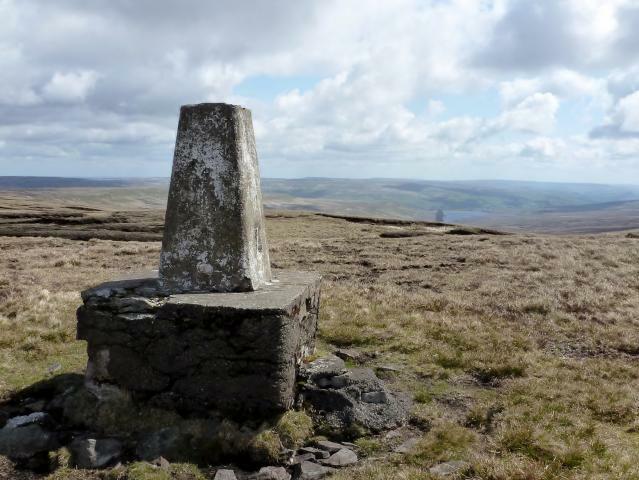 Great sunny long range views today however the real summit is about 300 metre to the west which i visited as well on to dead stones next. Large pieces of top screed missing - fairly large chunk of conc missing on a bottom corner - open spider. Condition is a bit borderline damaged! Pillar on a huge plinth c/w steps. Good views! Parked at cattle grid to South. Followed fencelines, difficult because of big snow drifts. Nice open top, good views of the snowy tops all around. 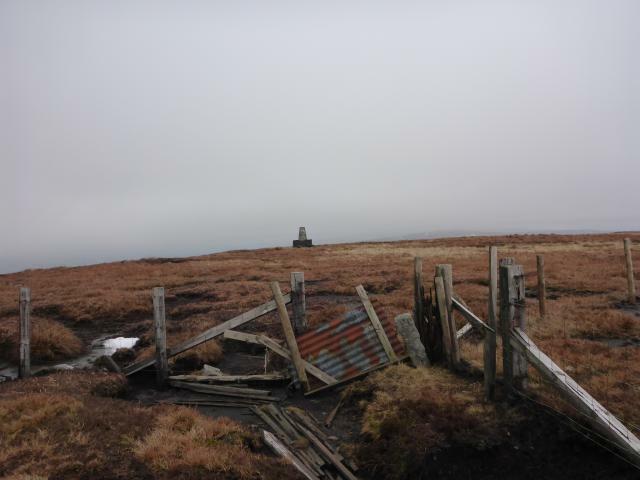 Trig itself is ok the base a bit crumbled, even had its own little steps. Historic county top of County Durham now supplanted by Mickle shrouded in grey today. Awe inspiring emptiness as the North Pennine usually provides. Cumbria and the surely unused ski slopes (?) just below. 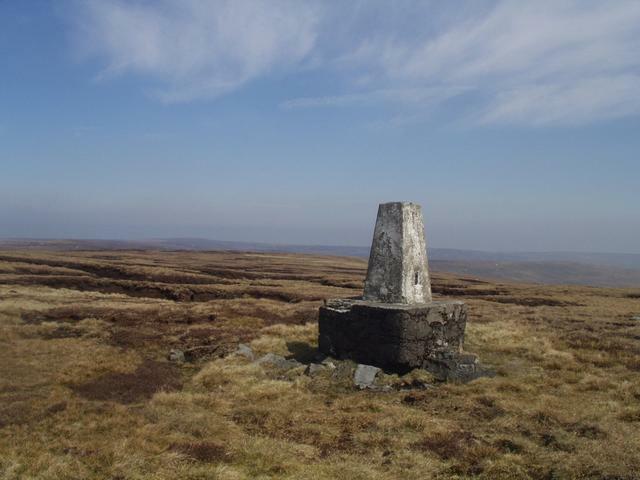 Visit the top further to the north/Alston direction. Cloudy sleety snow. Sort of followed fence up from cattle grid; more direct route back. dull day with occasional burst of eain. the stodgy route from harwood was pretty easy. 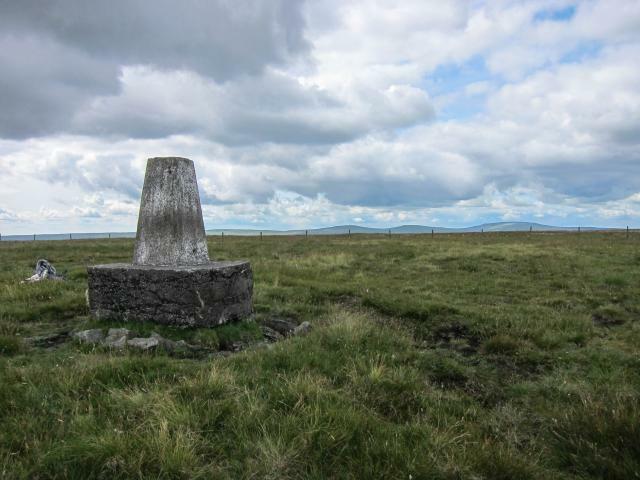 teig sits proud on its plinth and is a more worthy spot than its nearby true summit. now off to Dead Stones. 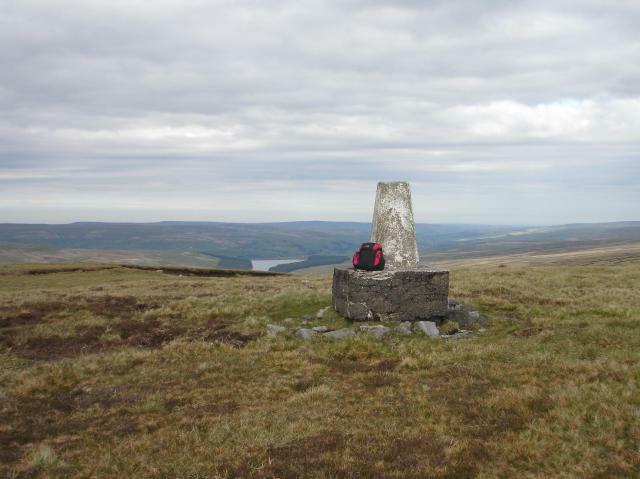 Revisit, from Burnhope Reservoir over Coldberry End, now onto Highwatch Currick. Parked old quarry across boggy ground, fog damp walk. 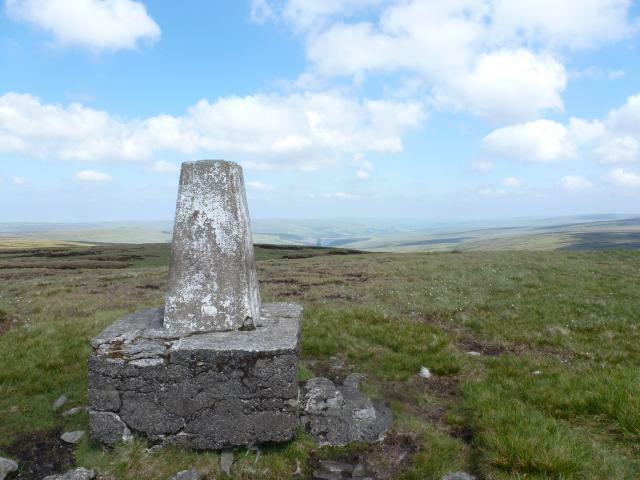 Out with my walking group - The Irregulars, LDWA - on the forty-second of a series of walks that will visit all the 2000' summits in England and Wales. So, the opportunity to bag this one was just too good not to miss. Walked along the fence line from Coldberry End. 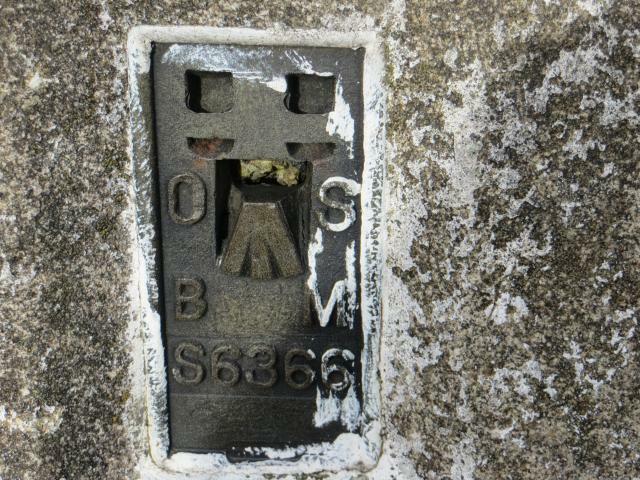 Some damage to the top which is open to the elements, the plug being missing. Lovely viewpoint - could see for ever today. S6366 Burnope Seat Flush Bracket. Walked up via the ski tow to the south. 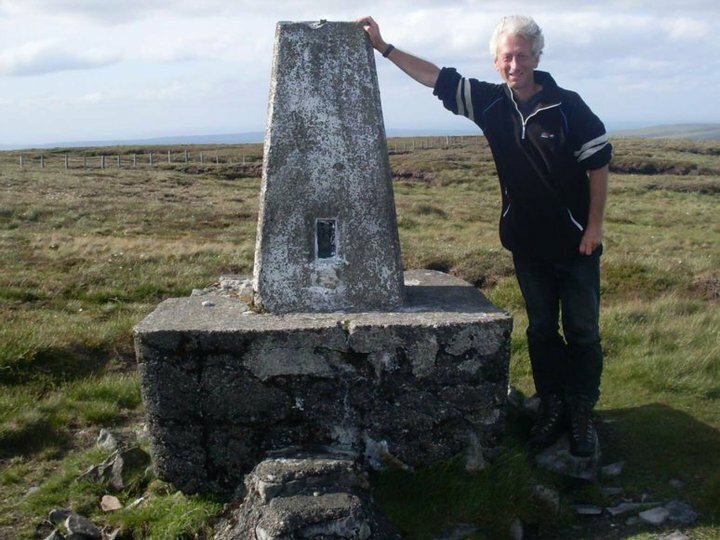 All I can say is that the trig is more interesting than the actual high point with is 300 meters west and over the bog. 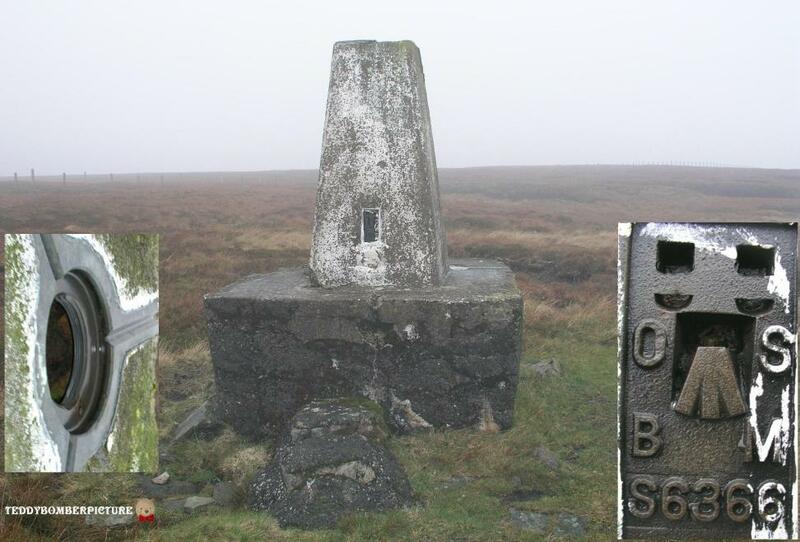 Nice trig and plinth. Nice day for a walk. 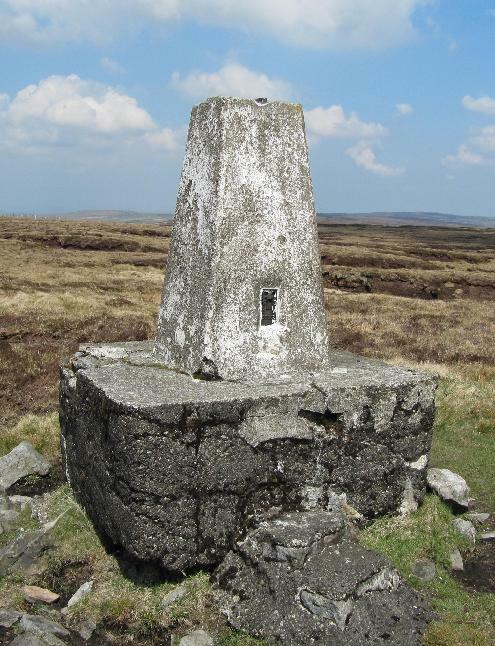 HISTORY: Pillar completed 21st August 1951 costing �15.4s.9d. Computed as secondary triangulation station NY86/6 in 1953. Levelled for height also in 1953. Last maintained by the OS in June 1983. SITE VISIT: Approached from SSW. 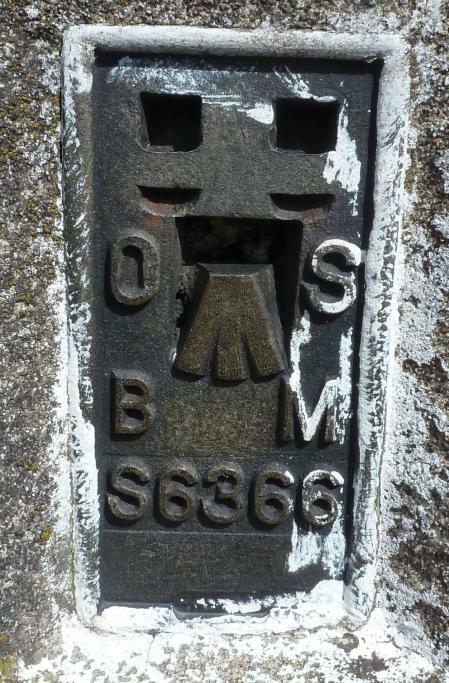 Parked in roadside recess by county boundary and cattle grid on B6277 at NY781357. 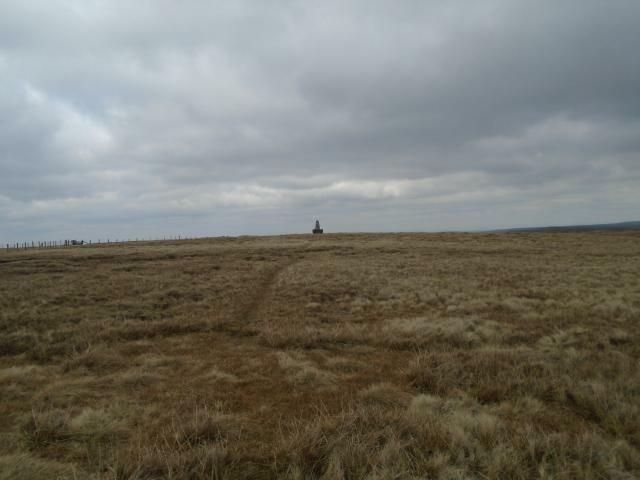 Followed fence line, bogs permitting which is a straightened version of the county boundary. High open grazing moorland. 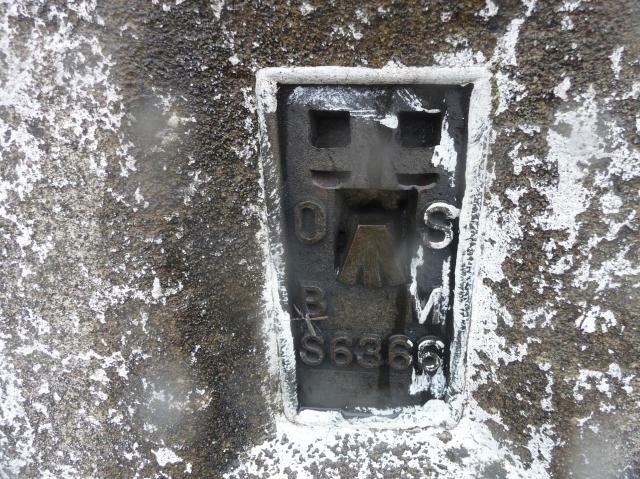 Pillar on large plinth, in good condition apart from chipped top. Spider centre open. 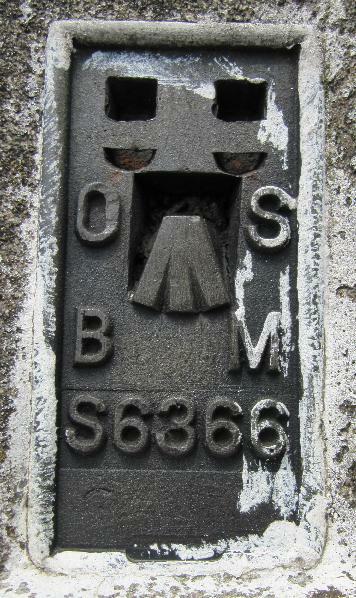 Flush bracket faces 168� SSE. Vented through northmost sight hole. Full 360� open outlook to distant tops but no downward views due to large flat top. Photographed 7/07/2010, GRP. Above date is most recent of four visits. First on 24/07/1979. 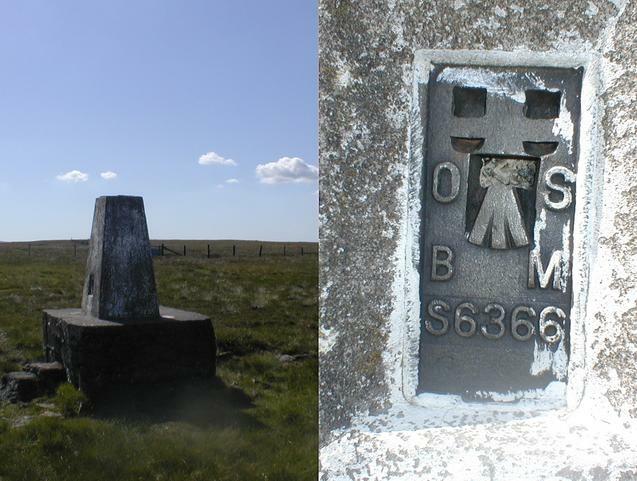 Trig point marks old County Durham top but does not stand on summit of Burnhope Seat. 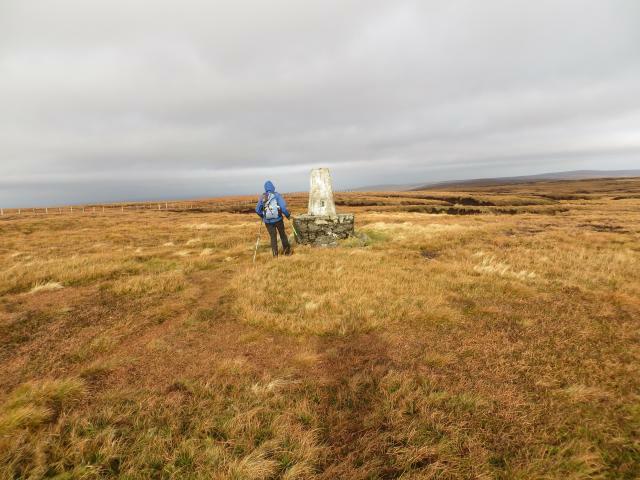 This visit on Weardale watershed walk from Cowshill. On Dead Stones later I met 2 Nuttalls collectors & 5 minutes after that, 2 Nick Wright collectors ! 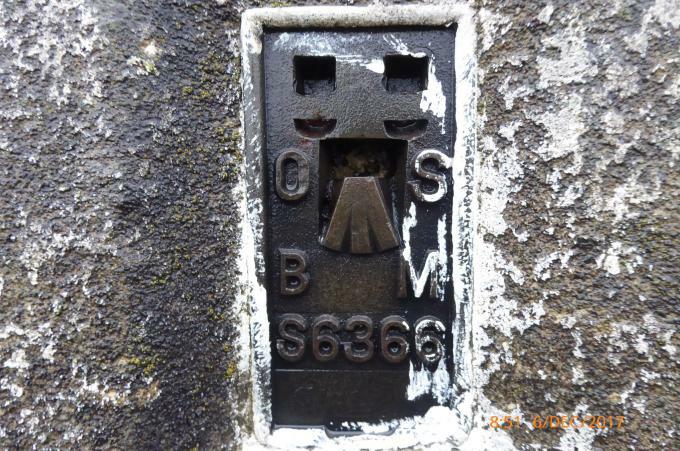 Plug missing, minor damage to top with a bit of graffiti and one spider-end exposed, but not as bad as the trig on Highwatch Currick. One sighting hole open. 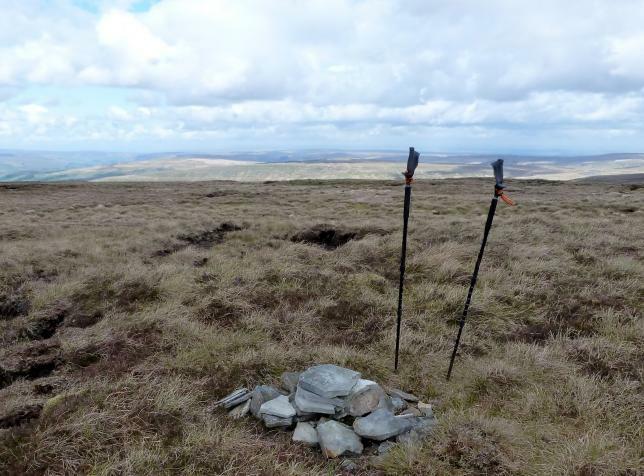 Substantial plinth contrasting with the mini-cairn which marks the actual top. 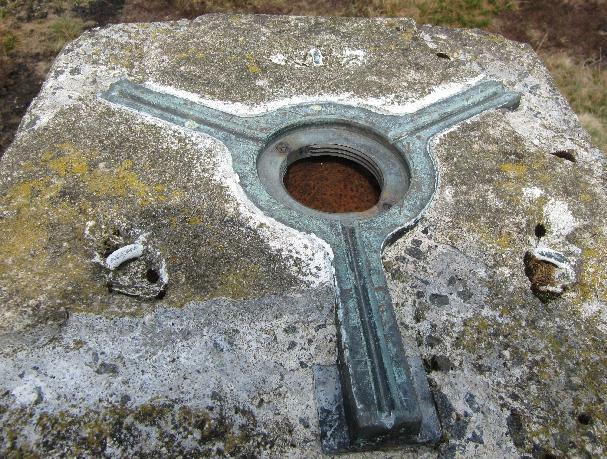 The plinth is slightly undercut and has its own steps. Some emerald green boggy patches lurking by the fence despite the warm weather. 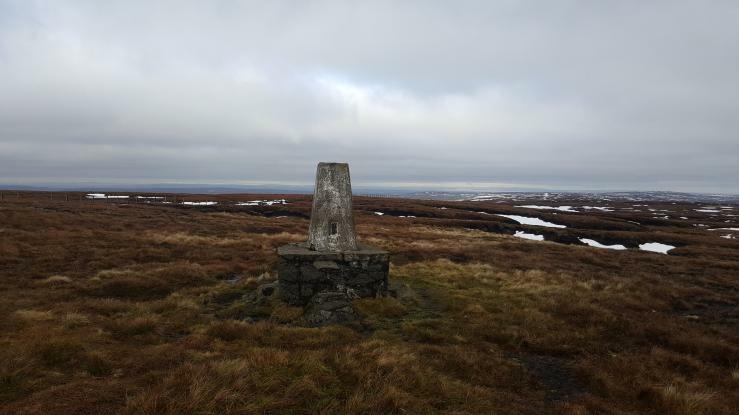 Visited along with Great Stony Hill and Harwood Common. Good views on a beautiful sunny day. Not half as wet underfoot as expected. Ascended from road keeping to the right hand side of ski lifts. Glorious sunshine on way up, but thick cloud descended as we arrived at the pillar so view was limited. 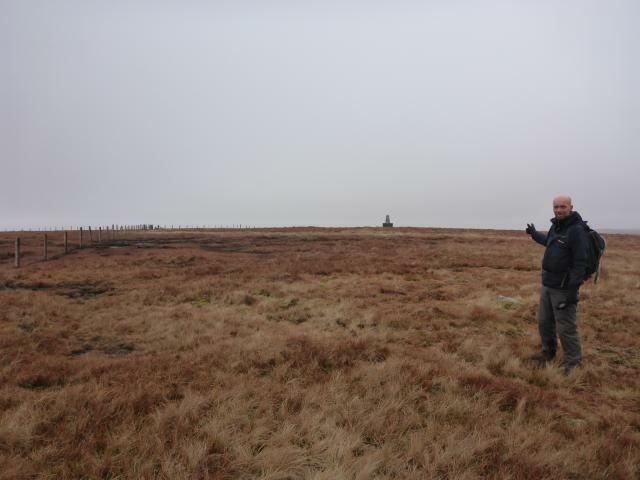 Ground was so boggy that it took 30 minutes to cover the last 300 metres to the trig. Pillar stands on 3 foot high plinth. Plug missing. County Durham Top. Ascended from the road with Late Starter. 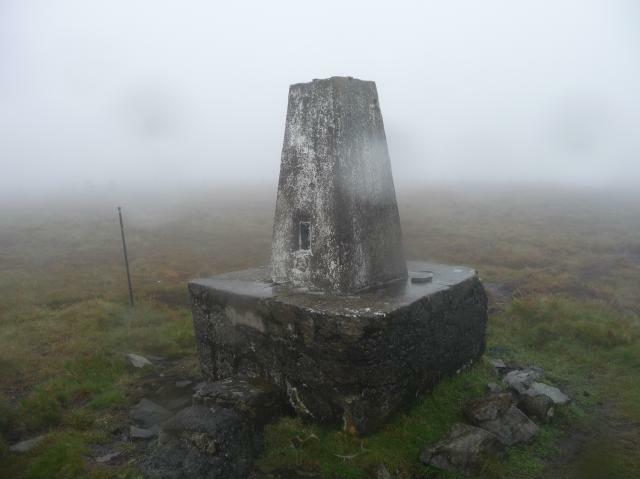 We enjoyed sunshine until reaching the summit plateau, when low cloud rolled in to obscure the views. 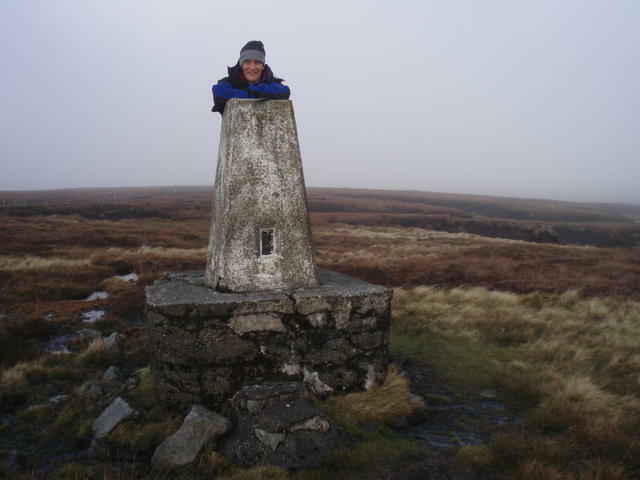 The summit area was very boggy and it took quite a while to reach the pillar, trying to avoid deep water. 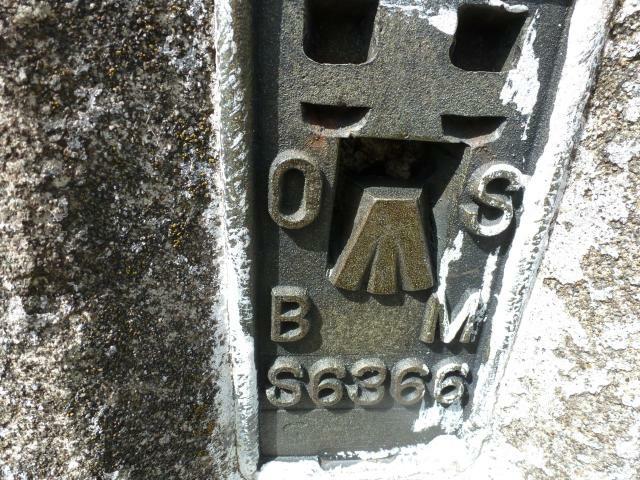 The pillar has very slight damage, only to the top and as such is on the borderline of good and slightly damaged. Plug missing. 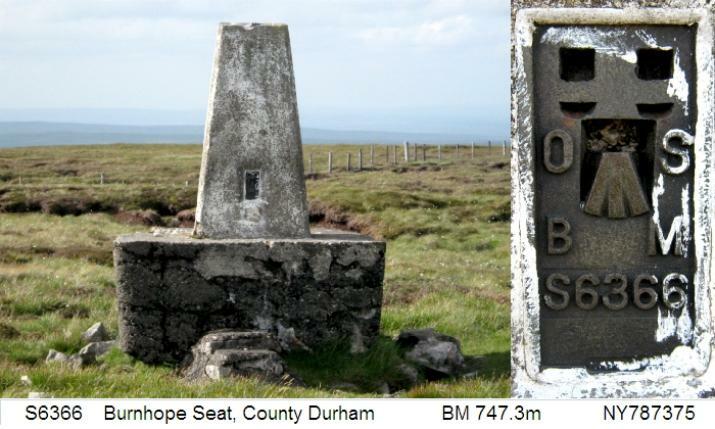 2nd of 3 from Burnhope resr, county Durham historic county top, slight damage, good views back down to resr. top screed damaged, no cap or plug, boggy area just E of summit, although dryshod today in dry conditions. Dunlin at summit, with usual supporting cast of Lapwing, Curlew, Golden Plover. views where good just before the bad weather came in cold & wet.. 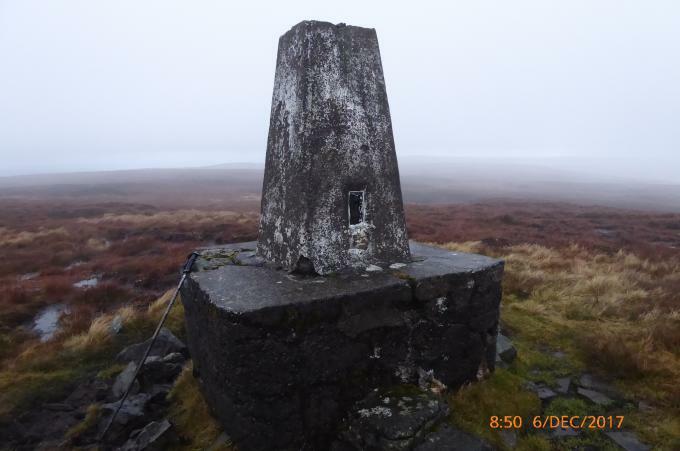 Pleasant walk up with a bit of bog hopping along the top,cloudy so no views. 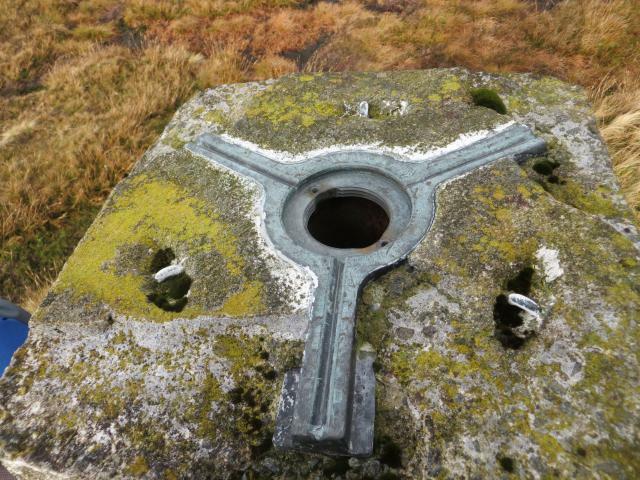 Trig on plinth in typical N.Pennines terrain. Saw dunlin on top of hill. last top after a 3 day weekend bagging the last 9 nortjhern english marilyns i had to do. easy trog up after this morning's slog up peel fell,no trig. 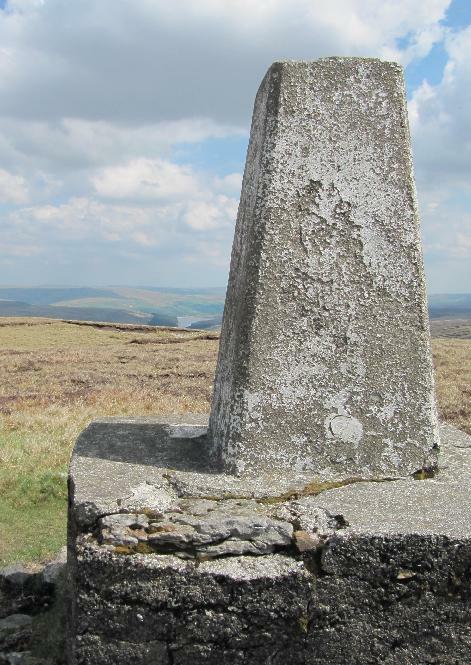 nearly forgot about the high point being away from the trig...nearest english one is now in dorset or some such!! time to go back to wales i think. 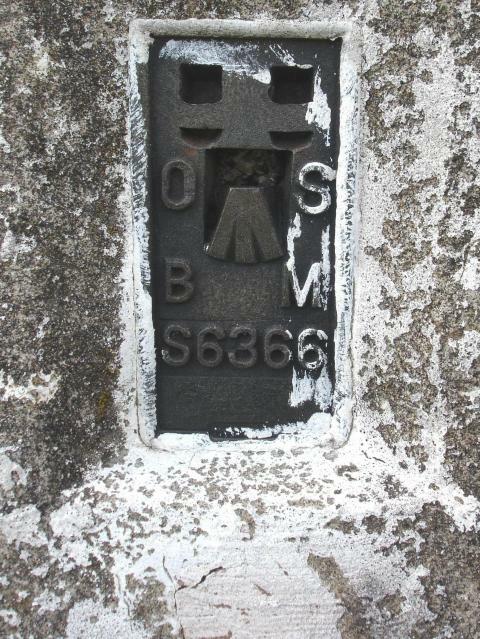 Pillar flaking at the top with the centre plug missing. Unusually raised on a plinth. Nice views on a clear spring day. 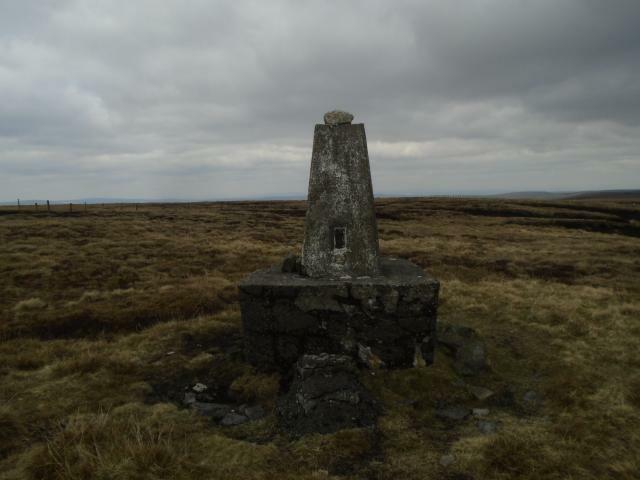 Harwood Common then trig then true summit of Burnhope Seat with OK going after recent dry weather. Evening visit, a short walk up past the ski lifts on Yad Moss. 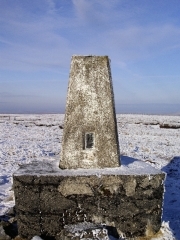 Pillar is not at the summit but has the distinction of being the Co. Durham highpoint, and placed for a good view down Weardale. 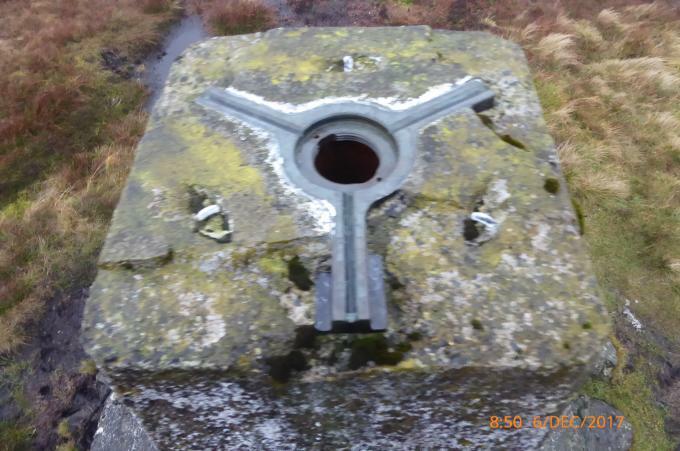 Its in good shape and on a substantial concrete plinth. I think this is deliberate elevation, not erosion exposure. 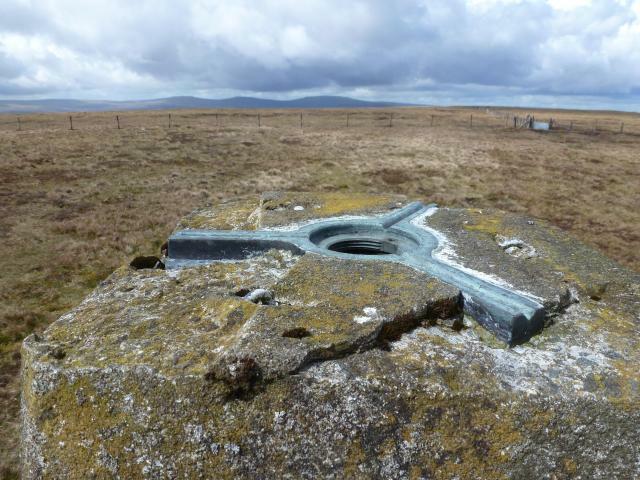 Visited during a hill bagging walk from Ashgill Head. 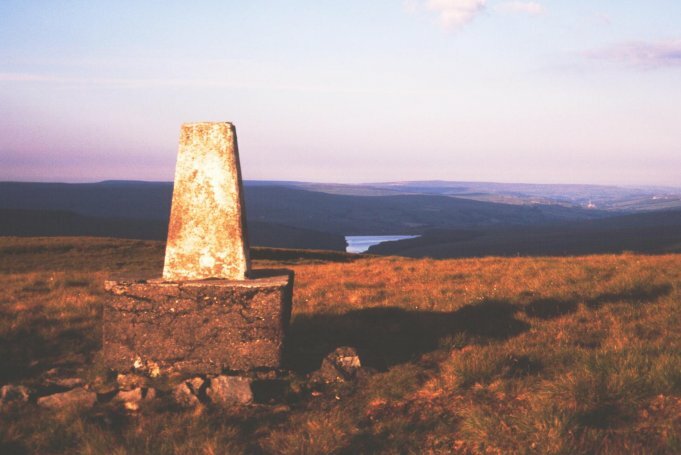 all I can remember is sinking into a bog beside thr trig's pedestal--County Durham's top before Ted Heath messed about with the boundaries. Painted white & set on a substantial plinth. 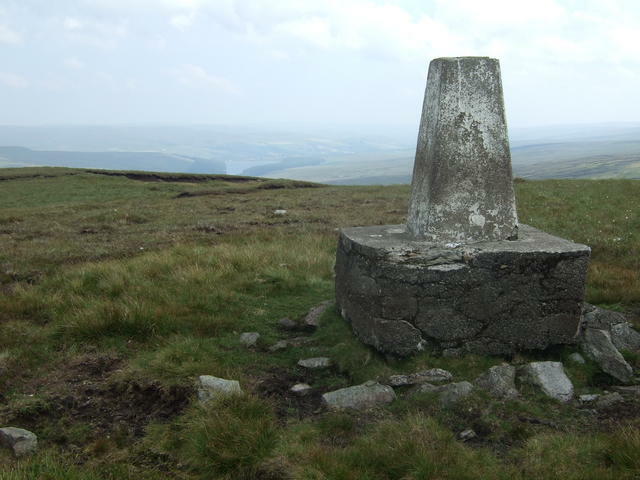 views of cross fell and reservoir to west. the higher top is 230 yards to west.